My immediate future doesn't hold a lot of promise as far as fishing is concerned. However it is starting to appear that there may be a chance at fishing the Caney before I head to Colorado. Since it is close and convenient, if the opportunity arises I'll definitely take it. Still, there's no point in getting too excited yet as this is purely speculation with a healthy dose of wishful thinking thrown in for good measure. 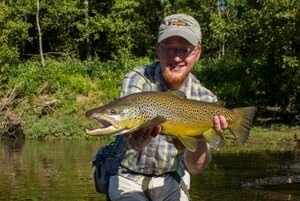 Later this week I'll be doing a presentation on midge fishing for Calvary Outfitters over in Murfreesboro. 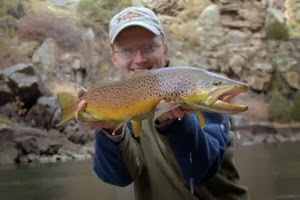 I'll be working over in Nashville for a few days this week and my evenings will probably be dedicated to tying for Colorado 2009 and preparing for the presentation... I have a LOT of salmonfly patterns to tie not to mention all the other random flies that I haven't tied yet. 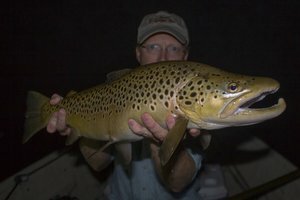 I've just started getting into fly fishing and have been following a number of blogs soaking up as much information as I can. My dad grew up in East Tennessee so your blog is alot of fun to read even though I live about 400-500 miles from the Smokies. I am looking at purchasing either a Kayak or Inflatable Pontoon boat. 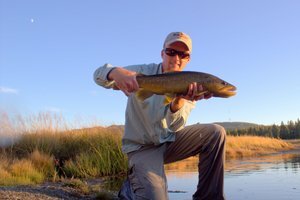 I've never fished (let along fly fished) our of an inflatable pontoon...thought more experienced anglers might. Thoughts? I've fished from a kayak and its not too bad. Very maneuverable, sometimes too much so. But on the plus side you can use it to do a lot of other things. I've never used the little pontoon boats, David? have you used pontoons? 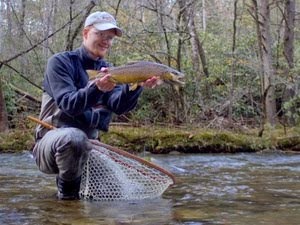 I'll mostly be fishing slow current for small mouth. Would consider taking it down south if I can ever get down there. There's also two 7,000 acre reservoirs near my home that produce good largemouth and if I wanted, carp.